Gamification, as familiar a term to us learning folk it may be, isn’t a L&D-specific concept. The application of game mechanics to engage, entertain and educate is popular across industries. For good reason, too – it works. All of which make a product or experience a little more addictive. We want to achieve higher goals and be recognised for these achievements. The same concepts and techniques can also be applied to encourage people to take part in activities that sometimes don’t seem appealing; completing forms, surveys, or even exercising. 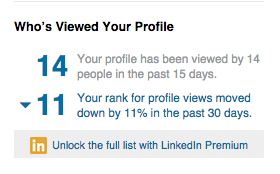 The majority of LinkedIn features are gamified. It’s their main pull for users to be so engaged in a social platform that, otherwise, would be awfully dull (just me?). Think about it – from the profile progress bar to one-click endorsements and profile view statistics that evoke curiosity, delight and drive action – LinkedIn has their gamification game down pat. The LinkedIn profile progress bar not only displays the percentage complete, it also motivates us to push further with powerful sentences of copy like: “Users with complete profiles are 40 times more likely to receive opportunities through LinkedIn”. Statements like this drive us and make us feel obliged to complete our profile due to the intrinsic desire to attain a reward. Reddit’s upvote/downvote system, along with their overall ‘Karma’ score are brilliant examples of gamification to encourage knowledge sharing and collaboration on a public forum. It's essentially the scoreboard of Reddit — scoreboards and leaderboards being the most commonly applied gamification element. 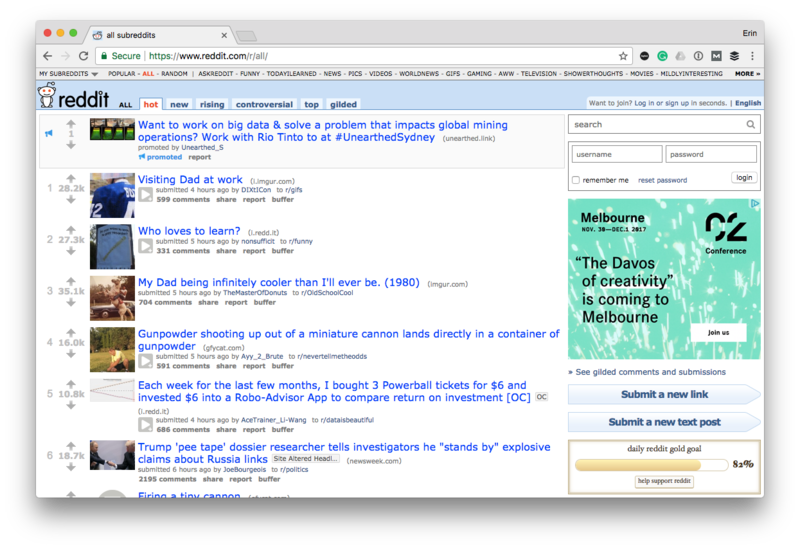 Reddit’s Karma points are rewarded by the community for posting popular content. You gain points when your comments and links that you share are upvoted, and it’s taken away when your links and comments are downvoted. Github, the world’s most popular development platform, uses this clever instance of gamification to encourage its users to make contributions to projects and repositories. This style of chart provides a view over time of how often and at what concentration a user is making contributions and appeals to the human motivation to seek consistent progression. Fun fact: this chart is actually our CTO, Paul’s chart. Look at all those contributions! In a similar way, Apple encourages its Apple Watch users to become – and stay – active. 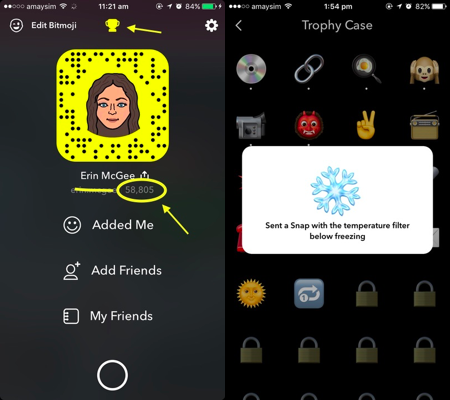 Users feel a strong sense of motivation with both the visual cues of the progress rings and personalised notification messages that urge them into action. BuzzFeed, the trailblazers of the infamous listicle (ironic, right?) blew up social media a few years back with the introduction of clever, targeted quizzes that see users coming back twice or more to achieve the result they’re looking for. 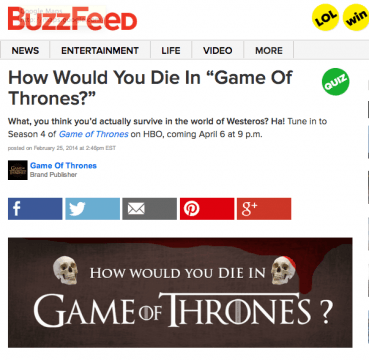 The BuzzFeed quiz template has become ubiquitous on Facebook in particular, and for good reason - Research has shown that 96% of users who started a quiz made it all the way to the end. We all (hopefully) know that the quiz results are rubbish – but the old ‘What kind of X or Y are you?’ triggers a sense of curiosity that makes scrolling past not an option. Travel companies have been using gamification in the form of loyalty points for decades – but only recently have companies such as TripAdvisor taken advantage of more complex game elements to incentivise and engage customers with reputation points, badges, levels and rewards. There are even specific badges awarded for being experts in a geographical area, for being a seasoned restaurateur and for checking off several destinations around the globe! 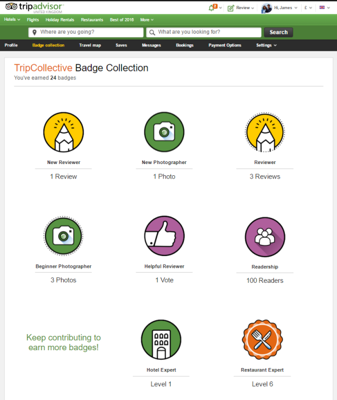 The most interesting gamification feature that TripAdvisor incorporates is regular and immediate feedback. Users receive emails letting them know how their reviews have helped other travellers, prompting them to write more. They’ve even been known to mail physical badges to top reviewers’ home addresses! The same way the platforms above have used gamification to engage and encourage consumers and subscribers, organisations use it to do the same for their employees' learning. Though, as effective as gamification can be, it’s common for learning companies to include game elements as a part their product offering just to say they can offer it. And the result of poorly thought out game mechanics is poor engagement and further, poor business results. To gamify the right way, it’s important to have an overarching strategy that makes sense and articulates the link between the gamification and what the learning exists to achieve. Badges to recognise achievements and key milestones – because learning should be celebrated! We’ve witnessed the benefits of gamification in our customers’ experience with the Yarno platform, with managers citing that the leaderboard (especially when names are anonymised) is always a topic of conversation around the office, with some employees even getting into Yarno quizzes on holiday to keep their team in the lead! But as gamification legend Karl Kapp points out, people don’t engage with a platform to earn points, they engage to be challenged, to reach mastery and to be part the social environment that gamification provides. Gamification is best used for subjects that require reinforcement over time and that should be front of mind for employees. Its implementation should be based on the concepts of spaced retrieval and retrieval practice to ensure a solid scientific base. If you'd like to know more about how Yarno uses gamification to change employee behaviour, we're here to chat! Managers and learners want the same thing out of learning: to get better at their jobs. And having manager support of training is critical to its success.